Sustainable transit is the best way to address the transport needs of growing populations, without having negative effects on air quality and health. 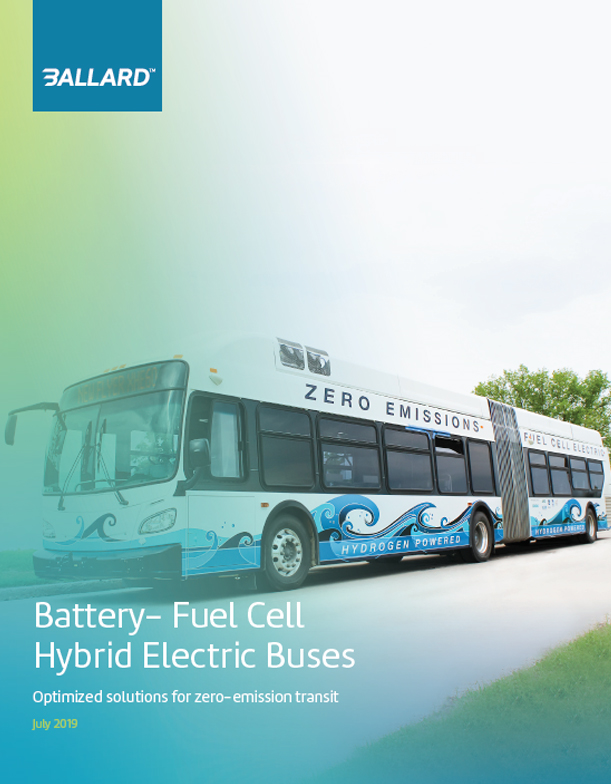 In this paper, we explore hybrid electric buses: how combining battery and fuel cell systems onboard the vehicle in a hybridized configuration results in an optimized electric bus. Used together, fuel cell and battery technologies overcome the limitations of each technology on its own. Get informed. Download this free informational.